It's cold & snowing here in Ohio. Sitting here warm by the fire I'm debating wether I'm going to suit up & go out to the Bike shed, not even a garage. 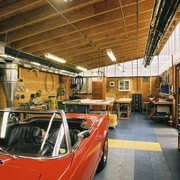 So my daydreaming turns to heated garages & workshops. Anyone care to post pictures of theirs ? Images of cool shops. Daydreams of what goes into a great shop. For me there would have to be an abilty to 'stuff'. Here they are - all tucked in - nice and warm in a walk-out basement. You have potential for a floating shop in NOLA. I'll try to take some photos of my shop soon. WOW! Modelers supreme, amazing...see what could be done if one didn't spend so much time riding and tinkering (and dreaming) with motorbikes! Thanks for the link! 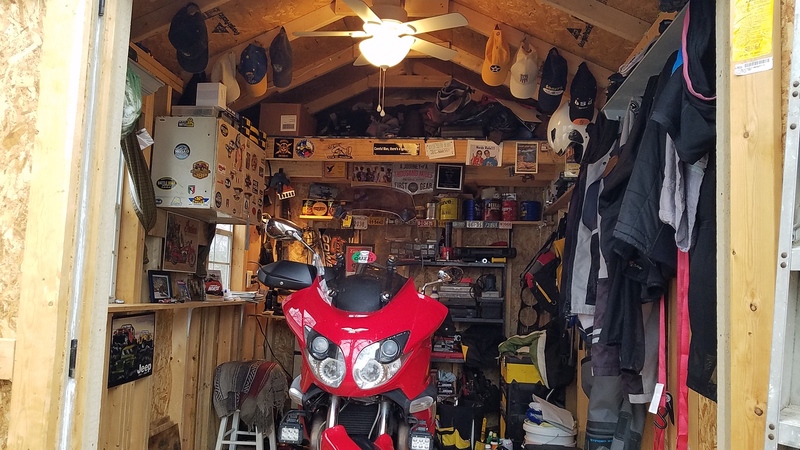 I have a 1300 square foot climate controlled basement however it's quite crowded with my dodge pickup, Jeep Grand Cherokee, Jeep Wrangler, bicycles, 5 workout mechines, sauna, tool bench and assorted tools, which I have limited capabilities of using. My hideout. It's small and crowded but easy to heat and I don't have to move much to get what I need. 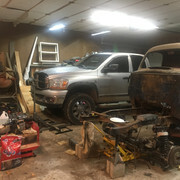 I've got a 14x20' shop, but am worried about the kerosene/diesel heaters. 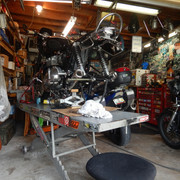 Some of my bikes have fuel in the tank, and there's solvent and other chemicals around. Is the ignition hazard real, or just my "heated" imagination? 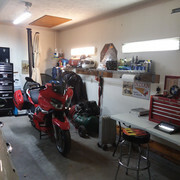 Its not much of a workshop, its more for bike storage. 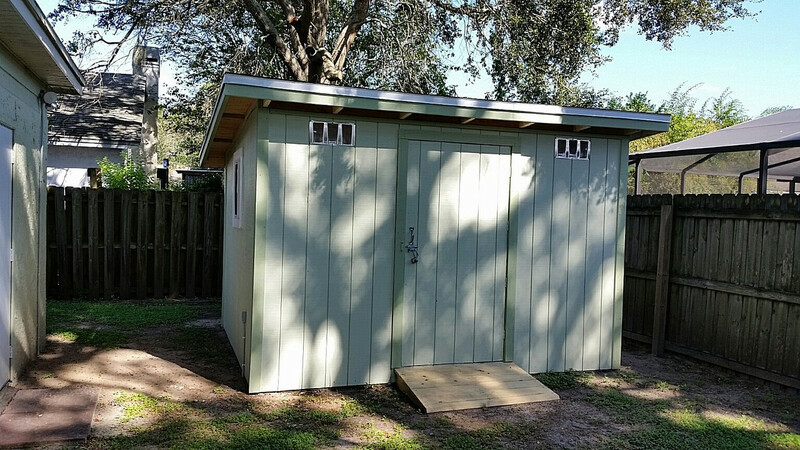 I built this 12x10 shed in the back yard last year because my two car garage is used as my workshop filled with large woodworking type stationary tools that I use for my business, I just ran out of room. 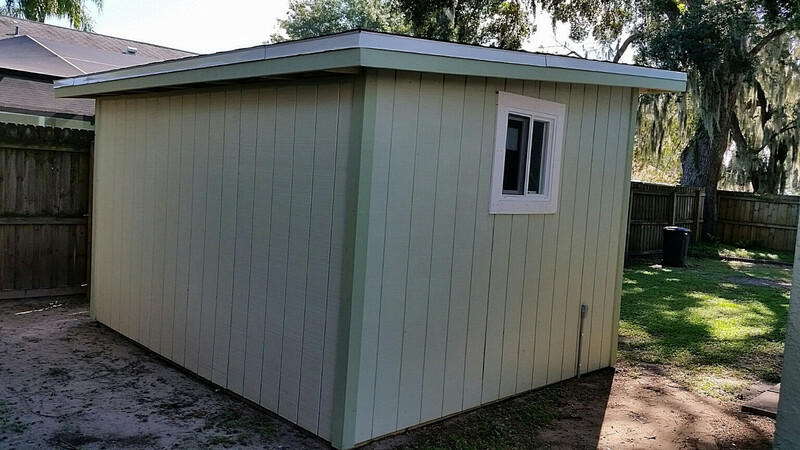 The shed will hold three bikes and has a 4' wide door with a ramp, power, AC, a workbench and a small compressor. 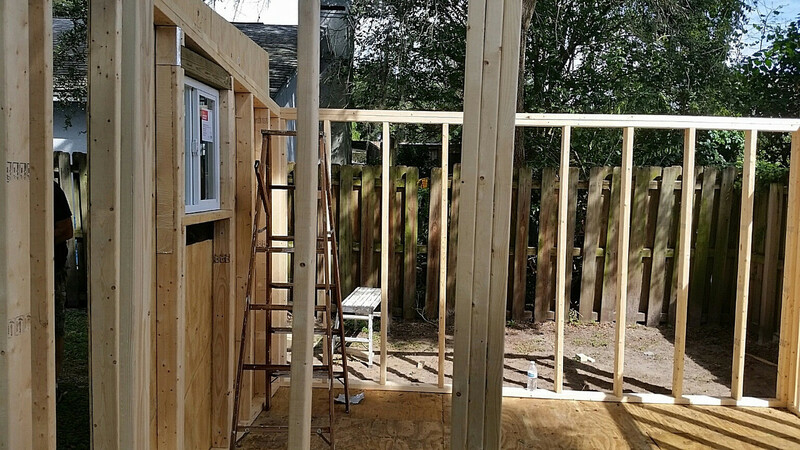 Its tight to work in, but its all the space I had available in the back yard. 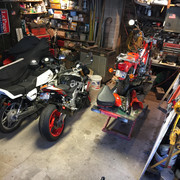 To work on a bike, I have to take the other two out of the shed. 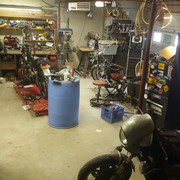 I had up to 8 motorcycles, snow blower 5 gallon gasoline and kerosene cans all full along with various solvents and oil in the garage while the kerosene heater was burning away. 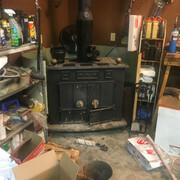 I keep flamables at least 3 feet away from the heaters and have never had an issue. Okay. At my work the insurance agent made the shop guys buy a flammables safety cabinet to store solvent, fuel, etc. And that's with a hot air heating system that doesn't present an ignition hazard. The safety lockers are pricey ($700) but I could wait for a used one to show up. Unless you have all NEMA 4 explosion proof electrical system there is always an ignition source. Safety is a great thing and safety process should be followed. But work and home are 2 different animals. Where I work we are 100% PPE anytime you walk into any of our shops or jobsites. I''ve never put on a hardhat, safety glasses, hearing protection, safety to shoes or a Hi-Vis vest to walk into my garage. 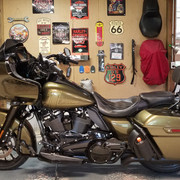 Here's some images of a cool shop. Not complete PPE, but I'm sure you (and I) even at home put on safety glasses, hearing protection, boots, when needed. Part of my concern is that my shop is attached to my house. A fire could take everything. Re this issue, I've got a relative who is a Lt at fire dept. I'll ask him. My 32x32 sanctuary. Wood heat, tv to listen to while I work on my projects. 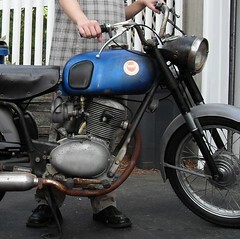 Currently restoring my childhood vehicle, 1950 F1. 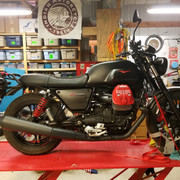 I love my shop, especially during the winter. It’s 29 outside right now, but 72 inside this disaster area. Cleaning is for springtime. 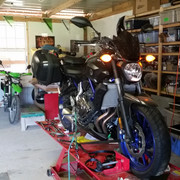 I have to move the car out of the garage to work on the bikes. Our house was born in the 60's...when families apparently had one Fiat 500 or VW Bug. 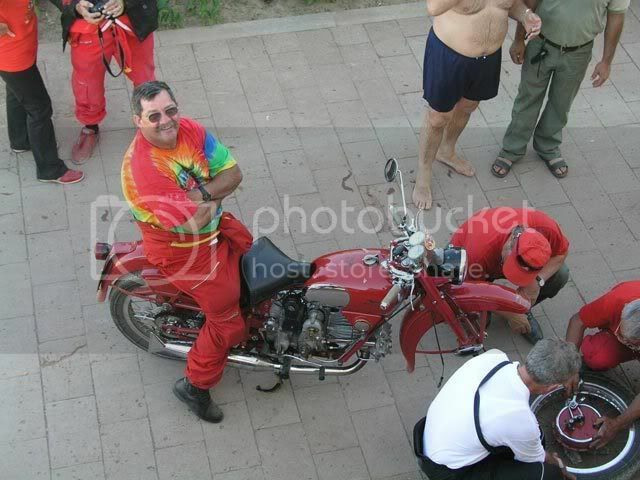 We have a mid-sized car that "just" fits in before running over 2 aprilias and 1 Moto Guzzi. 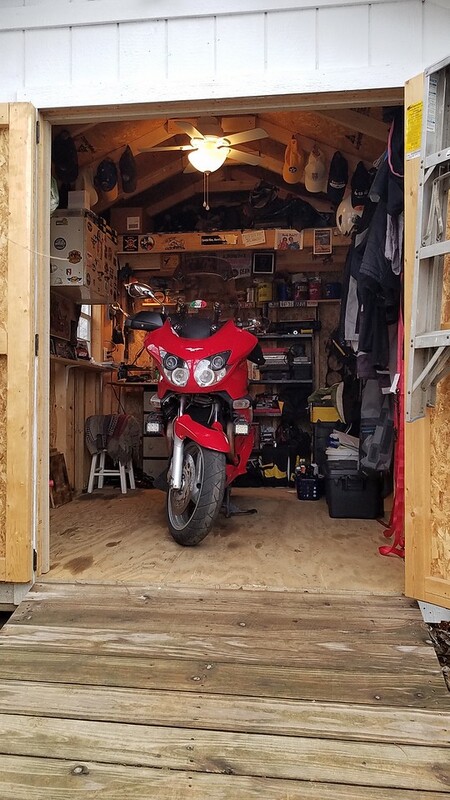 I'm toying with the idea of adding 15-20 feet to the back of the garage. THis would make the house sort of an "L" shape. The foot of the "L" would be two stories. 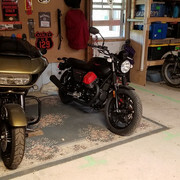 The bottom for the wife's stuff and mowers and the top would give me more room to work on bikes...or actually park my car indoors. My last car never saw the inside of the house. Mine has evolved over the years. I would like to insulate it to control the humidity better. It is 25 x 30 with 8' overhead door and a couple windows. It is half of a 30 x 50 barn that I share with my wife and her horse hobby. 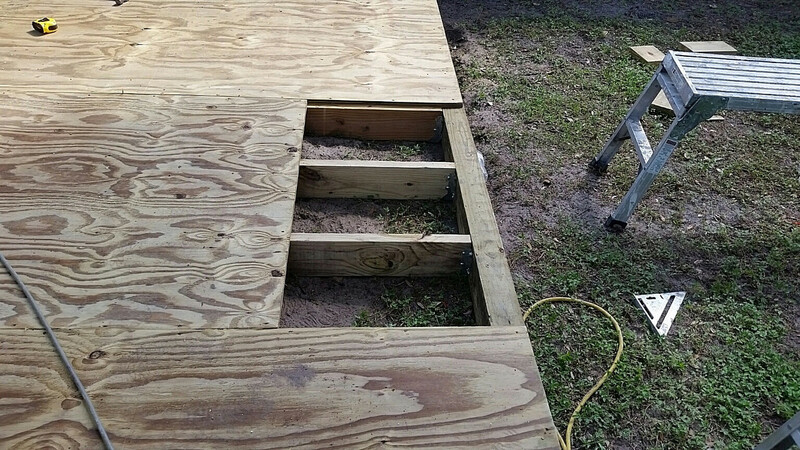 My garage is attached as well and the basment steps are in the garage. So if fumes are going to accumilate they'll flow to the basement and pool there until the boiler lights and then the big boom. I talked to the fireman. He advised that I shouldn't be worried that the diesel/kerosene heaters are an ignition source, even with the shop's containers of fuel and solvent. I should be worried that they are carbon monoxide generators. 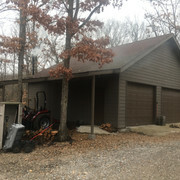 He recommended using heaters w exhaust venting to the outside. 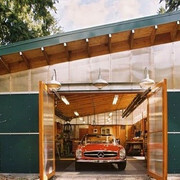 I can agree with them being CO generators but my garage door doesn't seal 100% so there is fresh air leakage. A CO detector isn't a bad idea though.